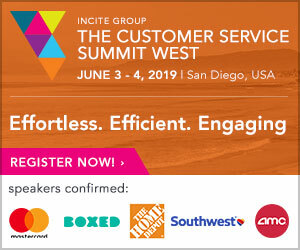 Here you can view the attendee list for the forthcoming Customer Service Summit West and claim a special $200 discount. Recently, CSM joined over 500 customer support, experience and workforce management leaders to discuss how executives are building their 2019 workforce and supporting their most important resource – their agents. You can view the webinar recordings here. But more importantly, you can catch these speakers and more at the Customer Service Summit West (June 3-4, San Diego). Click here to learn more about the Customer Service Summit & claim your special discount of $200 with the code “CSM200”. The Incite Group recently released an attendee snapshot of over 100 customer support leaders already registered. Including leaders from Amazon, Starbucks, US Bank, eBay, Marriott, AARP, Twitter, Verizon, USAA, Apple and more, the Customer Service Summit is set to be the place to meet with your peers in 2019. Check out the full attendee list for the Customer Service Summit! Focused on unleashing the potential of customer support, this event is for leaders across each niche of support and will provide leading insights, innovative strategies and practical tools to keep up with your customers’ demands, effectively leverage technology and deliver real customer value. If you are interested in attending, you can take advantage of the discount code “CSM200” and get a $200 discount. We hope you enjoy the webinar recordings and can attend the Customer Service Summit! Where Are Your Executive Offices? Don’t Keep Your Customers Waiting! 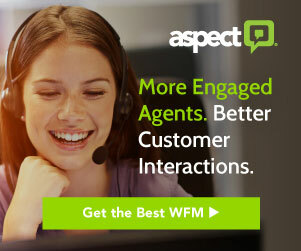 It’s Not Your Father’s Customer Service Anymore!